Management in all business areas and organizational activities are the acts of getting people together to accomplish desired goals and objectives efficiently and effectively. Management comprises planning, organizing, staffing, leading or directing, and controlling an organization (a group of one or more people or entities) or effort for the purpose of accomplishing a goal. Resourcing encompasses the deployment and manipulation of human resources, financial resources, technological resources, and natural resources. There can be many definitions of management but most managers agree that "Management is an organized effort of people whose purpose is to achieve the objectives and goals of an organization." Management is not that simple either. To gain a better understanding of management, let’s review the ideas and views expressed by academicians and practitioners of Management. McFardland defines management as “A process by which managers create, direct, maintain and operate purposive organization through systematic, coordinated, co-operative human efforts”. and implement changes successfully in their organizations. Businesses fail and become bankrupt because managers fail in their attempt to cope with the change. Donally, Gibson and Ivancevich also support the view of management as a process but their stress in more on co-ordination. According to them, “Management is a process by which individual and group effort is coordinated towards group goals”. In order to achieve goals, coordination is essential and management involves securing and maintaining this coordination. This coordination effort is also stressed in the definition of Koontz and O’Donnell. According to them, “Management is a process of designing and maintaining an environment in which, individuals, working together in groups efficiently and effectively accomplish group goals”. There are those who view management as a function rather than a process. Dunn, Stephens and Kelly contend that “Management is a role which includes a set of duties, responsibilities, and relationships-involved in work organizations”. These duties and responsibilities constitute the function a manager performs. The duties and responsibilities a manager performs are quite different from those performed by managerial employees. In getting things done through others, people have to be coaxed, they have to be shown, they have to inspired, they have to be motivated and this is what management means. These activities are performed not only by the people at the top but from the chairman of the board to the front line supervisors and foremen. They use the above mentioned methods to get things done through other people. In mid 1940s, academic people from various business schools in the United States gathered together with the sole purpose of deciding whether a definition of management could be written that businessmen would accept and practice and academicians would teach. Ultimately they came up with the fallowing definition. “Management is guiding human and physical resources into a dynamic organization units that attain their objectives to the satisfaction of those served and with the high degree of moral and sense of attainment on the part of those rendering the services”. By the late 19th century, marginal economists Alfred Marshall (1842–1924), Léon Walras (1834–1910), and others introduced a new layer of complexity to the theoretical underpinnings of management. Joseph Wharton offered the first tertiary-level course in management in 1881. The first comprehensive theories of management appeared around 1920. The Harvard Business School invented the Master of Business Administration degree (MBA) in 1921. 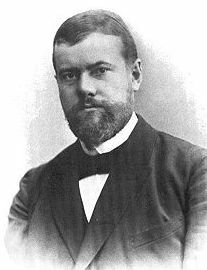 People like Henri Fayol (1841–1925) and Alexander Church described the various branches of management and their inter-relationships. In the early 20th century, people like Ordway Tead (1891–1973), Walter Scott and J. Mooney applied the principles of psychology to management, while other writers, such as Elton Mayo (1880–1949), Mary Parker Follett (1868–1933), Chester Barnard (1886–1961), Max Weber (1864–1920), Rensis Likert (1903–1981), and Chris Argyris (1923 - ) approached the phenomenon of management from a sociological perspective. H. Dodge, Ronald Fisher (1890–1962), and Thornton C. Fry introduced statistical techniques into management-studies. In the 1940s, Patrick Blackett combined these statistical theories with microeconomic theory and gave birth to the science of operations research. Operations research, sometimes known as "management science" (but distinct from Taylor's scientific management), attempts to take a scientific approach to solving management problems, particularly in the areas of logistics and operations. Some of the more recent developments include the Theory of Constraints, management by objectives, reengineering, Six Sigma and various information-technology-driven theories such as agile software development, as well as group management theories such as Cog's Ladder. business concern. The productive resources – material, labour, capital etc. are entrusted to the organizing skill, administrative ability and enterprising initiative of the management. Thus, management provides leadership to a business enterprise. Without able managers and effective managerial leadership the resources of production remain merely resources and never become production. Under competitive economy and ever-changing environment the quality and performance of managers determine both the survival as well as success of any business enterprise. Management occupies such an important place in the modern world that the welfare of the people and the destiny of the country are very much influenced by it. “Management is the process of getting things done through the efforts of other people in order to achieve the predetermined objectives of organization”. Management may also be define as: “The process by which execution of given purpose put into operation and supervise”. A concise statement: “The function of executive leadership anywhere”. “Management is the art of securing maximum results with the minimum of efforts so as to get maximum prosperity and happiness for both employer and employee and give public the best possible service”. “Management is a distinct process consisting of planning, organizing, staffing, leading and controlling utilizing both in each science and art and followed in order to accomplish predetermined objectives of the organization”. (i) Small and large Organizations. (ii) Profit and non profit Organization. Manager is also known as leader and administrative, Manager is a person who under take the tasks and function of managing at any level, in any kind of enterprise. finance, engineering, manufacturing, or computer science. Human skills are skills associated with manager’s ability to work well with others, both as a member of a group and as a leader who gets things done through other. organization fits into the wider context of the industry, community, and world. Conceptual skills, coupled with technical skills, human skills and knowledge base, are important ingredients in organizational performance. It is the ability to solve the problems in ways that will benefit the enterprise. Managers must be able to solve the problems. The functions of managers provide a useful structure for organizing management knowledge. Organizing is the part of managing that involves establishing an intentional structure of roles for people to fill in an organization. The purpose of an organization structure is to creating an environment helpful for human performance. It is then management tools and not an end. 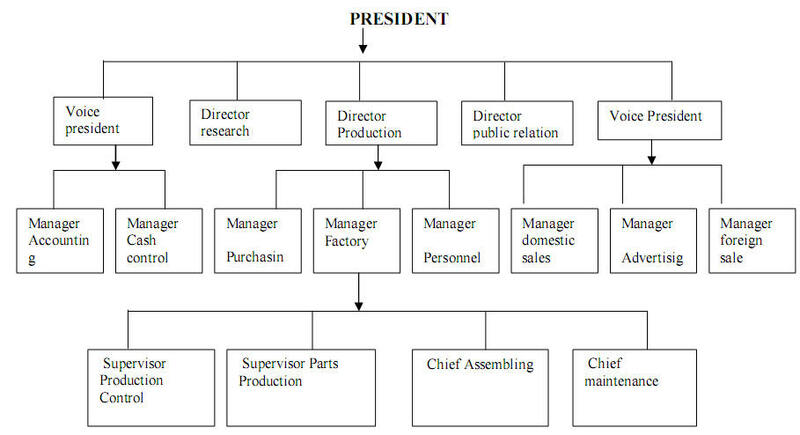 Although the structure must define the task to be done, the rules so established must also be designed in the light of the abilities and motivations of the people available designing an effective organization structure is not an easy managerial task.Many problems arises in making structures fit situations. problems , their behavior as individuals and in groups and that effective managers also need to be effective leaders. Leading involves motivation, leadership styles and approaches and communications. The origin of management can be traced back to the days when man started living in groups. History reveals that strong men organized the masses into groups according to their intelligence, physical and mental capabilities. Evidence of the use of the well recognized principles of management is to be found in the organization of public life in ancient Greece, the organization of the Roman Catholic Church and the organization of military forces. Thus management in some form or the other has been practiced in the various parts of the world since the dawn of civilization. With the on set of Industrial Revolution, however, the position underwent a radical change. The structure of industry became extremely complex. At this stage, the development of a formal theory of management became absolutely necessary. It was against this background that the pioneers of modern management thought laid the foundations of modern management theory and practice. Different Author says that history of management is different Author contribute in management. There are so many theories of management that why also called Jungle of management. 5. Modern Management /Recent contribution to management thoughts. 1. It was closely associated with the industrial revolution and the rise of large-scale enterprise. 2. Classical organization and management theory is based on contributions from a number of sources. They are scientific management, Administrative management theory, bureaucratic model, and micro-economics and public administration. 3. Management thought focused on job content division of labour, standardization, simplification and specialization and scientific approach towards organization. 1. Scientific Task and Rate-setting, work improvement, etc. 1. Scientific Task and Rate-Setting (work study): Work study may be defined as the systematic, objective and critical examination of all the factors governing the operational efficiency of any specified activity in order to effect improvement. Work study includes. (a) Methods Study: The management should try to ensure that the plant is laid out in the best manner and is equipped with the best tools and machinery. The possibilities of eliminating or combining certain operations may be studied. (b) Motion Study: It is a study of the movement, of an operator (or even of a machine) in performing an operation with the purpose of eliminating useless motions. (c) Time Study (work measurement): The basic purpose of time study is to determine the proper time for performing the operation. Such study may be conducted after the motion study. Both time study and motion study help in determining the best method of doing a job and the standard time allowed for it. (d) Fatigue Study: If, a standard task is set without providing for measures to eliminate fatigue, it may either be beyond the workers or the workers may over strain themselves to attain it. It is necessary, therefore, to regulate the working hours and provide for rest pauses at scientifically determined intervals. (e) Rate-setting: Taylor recommended the differential piece wage system, under which workers performing the standard task within prescribed time are paid a much higher rate per unit than inefficient workers who are not able to come up to the standard set. 2. Planning the Task: Having set the task which an average worker must strive to perform to get wages at the higher piece-rate, necessary steps have to be taken to plan the production thoroughly so that there is no bottle neck and the work goes on systematically. training of the workers in the correct methods of work. 4. Standardization: Standardization may be introduced in respect of the following. implements which will be nearly the best or the best of their kind. (b) Speed: There is usually an optimum speed for every machine. If it is exceeded, it is likely to result in damage to machinery. (d) Materials: The efficiency of a worker depends on the quality of materials and the method of handling materials. 5. Specialization: Scientific management will not be complete without the introduction of specialization. Under this plan, the two functions of 'planning' and 'doing' are separated in the organization of the plant. The `functional foremen' are specialists who join their heads to give thought to the planning of the performance of operations in the workshop. Taylor suggested eight functional foremen under his scheme of functional foremanship. (a) The Route Clerk: To lay down the sequence of operations and instruct the workers concerned about it. (b) The Instruction Card Clerk: To prepare detailed instructions regarding different aspects of work. (c) The Time and Cost Clerk: To send all information relating to their pay to the workers and to secure proper returns of work from them. (d) The Shop Disciplinarian: To deal with cases of breach of discipline and absenteeism. (e) The Gang Boss: To assemble and set up tools and machines and to teach the workers to make all their personal motions in the quickest and best way. (f) The Speed Boss: To ensure that machines are run at their best speeds and proper tools are used by the workers. (g) The Repair Boss: To ensure that each worker keeps his machine in good order and maintains cleanliness around him and his machines. (h) The Inspector: To show to the worker how to do the work. 6. Mental Revolution: At present, industry is divided into two groups – management and labour. The major problem between these two groups is the division of surplus.The management wants the maximum possible share of the surplus as profit; the workers want, as large share in the form of wages. Taylor has in mind the enormous gain that arises from higher productivity. Such gains can be shared both by the management and workers in the form of increased profits and increased wages. Taylor's ideas, research and recommendations brought into focus technological, human and organizational issues in industrial management. Replacement of traditional rule of thumb method by scientific techniques. Proper selection and training of workers. Standardization of tools, equipment, materials and work methods. Establishment of harmonious relationship between the workers. Better utilization of various resources. Satisfaction of the needs of the customers by providing higher quality products at lower prices. (a) Speeding up of workers: Scientific Management is only a device to speed up the workers without much regard for their health and well-being. (b) Loss of individual worker's initiative: Scientific Management reduces workers to automatic machine by taking away from them the function of thinking. (c) Problem of monotony: By separating the function of planning and thinking from that of doing, Scientific Management reduces work to mere routine. (d) Reduction of Employment: Scientific Management creates unemployment and hits the workers hard. (e) Weakening of Trade Unions: Under Scientific Management, the important issues of wages and working conditions are decided by the management through scientific investigation and the trade unions may have little say in the matter. (a) Heavy Investment: It requires too heavy an investment. The employer has to meet the extra cost of the planning department though the foreman in this department do not work in the workshop and directly contribute towards higher production. (b) Loss due to re-organization: The introduction of Scientific Management requires a virtual reorganization of the whole set-up of the industrial unit. Work may have to be suspended to complete such re-organization. (c) Unsuitable for small scale firms: various measures like the establishment of a separate personnel department and the conducting of time and motion studies are too expensive for a small or modest size industrial unit. 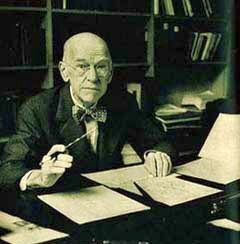 H.L Gantt was born in 1861. He graduated from John Hopkins College. For some time, he worked as a draftsman in an iron foundry. In 1884, he qualified as a mechanical engineer at Stevens Institute. operations, man hour performance, deliveries, effected and the work in arrears. This chart was intended to facilitate day-to-day production planning. 2. Task-and-bonus plan for remunerating workers indicating a more humanitarian approach. This plan was aimed at providing extra wages for extra work besides guarantee of minimum wages. Under this system of wage payment, if a worker completes the work laid out for him, he is paid a definite bonus in addition to his daily minimum wages. On the other hand, if a worker does not complete his work, he is paid only his daily minimum wages. There was a provision for giving bonus to supervisors, if workers under him were able to earn such bonus by extra work. 3. Psychology of employee relations indicating management responsibility to teach and train workers. In his paper "Training Workmen in Habits of Industry and Cooperation", Gantt pleaded for a policy of preaching and teaching workmen to do their work in the process evolved through pre-thinking of management. 4. Gantt laid great emphasis on leadership. He considered management as leadership function. He laid stress on the importance of acceptable leadership as the primary element in the success of any business. 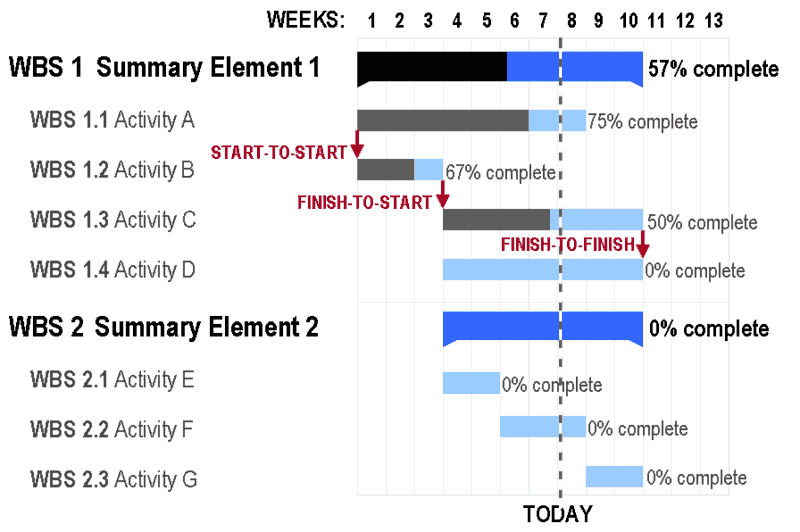 Gantt's contributions were more in the nature of refinements rather than fundamental concepts. They made scientific management more humanized and meaningful to devotees of Taylor. The ideas of Taylor were also strongly supported and developed by the famous husband and wife team of Frank and Lillian Gilbreth. They became interested in wasted motions in work. After meeting Taylor, they combined their ideas with Taylor's to put scientific management into effect. They made pioneering effort in the field of motion study and laid the entire foundation of our modern applications of job simplification, meaningful work standards and incentive wage plans. Mrs. Gilbreth had a unique background in psychology and management and the couple could embark on a quest for better work methods. Frank Gilbreth is regarded as the father of motion study. He is responsible for inculcating in the minds of managers the questioning frame of mind and the search for a better way of doing things. (a) The one best way of doing a job is the way which involves the fewest motions performed in an accessible area and in the most comfortable position. The best way can be found out by the elimination of inefficient and wasteful motions involved in the work. (b) He emphasized that training should be given to workers from the very beginning so that they may achieve competence as early as possible. (ii) his present position, and (iii) The next higher position. The part of a worker's time should be spent in teaching the man below him and learning from the man above him. This would help him qualify for promotion and help to provide a successor to his current job. (d) Frank and Lillian Gilberth also gave a thought to the welfare of the individuals who work for the organization. embark on a quest for better work methods. (iii) The next higher position. The part of a worker's time should be spent in teaching the man below him and learning from the man above him. This would help him qualify for promotion and help to provide a successor to his current job. (e) Gilbreth also devised methods for avoiding wasteful and unproductive movements. He laid down how workers should stand, how his hands should move and so on. “admistration industrielte in generale “. This monograph, reprinted in French several times, was not translated into English until 1929. No English translation was made or published in the US until 1949. Fayol found that industrial activates could be divided into six groups as shown in figure. 2. Commercial (buying, Selling and exchanging). 3. Financial (Search for, and optimum use of capital). 4. Security (Protection of property and persons). 6. Managerial (Planning, organization, command, contribution and control). Henri Fayol pointed out that these activities exist in every size of business. Fayol observed that first five were well known and he devoted most of his book to an analysis of the sixth. Fayol listed Fourteen Principles based on experience. He noting that Principles of management are flexible, not absolute and must be usable regard less of changing and special conditions. Some kinds of Principles appeared to be indispensable in every undertaking. 1. 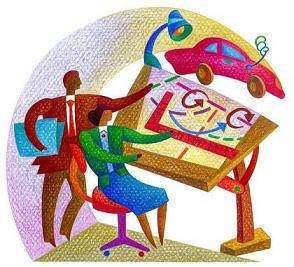 Division of Work :- Fayol applies the principle to all kind of work, management as well as technical. 2. Authority and responsibility :Henri Fayol finds authority and responsibility to be related with the latter arising from the former. He sees authority as a combination of official factors, manager’s position and personal factors, “Compounded of intelligence, experience, moral worth, past services etc. 3. Discipline : Fayol declares that discipline requires good superiors at all levels. 4. Unity of Command: This means that employees should receive order from one superior only. 5. Unity Of Direction: According to this principal, each group of activities with same objective must have one head and one plan. 6. Subordination of individuals to general interest: When the two are found to differ, management must reconcile them. 7. Remuneration: Remuneration and method of payment should b fair and have maximum possible satisfaction to employees and employer. 8. Centralization: Without using the term centralization of authority ‘’Fayol refers authority dispersed or concentrated. 9. Scalar Chain: Fayol thinks of this as “Chain of Superior” from beigest to low ranks should be short circuited. 10. Order: Fayol classify this into “material” and “social” order. This is essential principle in arrangement of things and people in an organization. 11. Equity: Loyalty and devotion should be elected from personnel on biases of kindliness and justice, when dealing with subordinate. 12. Stability of tenure: In bad management, Fayol points out id dangers and costs. 13. Initiative: Initiative is execution of a plan. 14. Esprit decrops: This is the principle that in the union there is strength. This principle emphasis on work, Unity of communication. In order to accomplishment of objective. Fayol said the element of management is its functions. Planning, Organizing, Staffing, Leading, and controlling. He point out that the principles of management can apply not only to business but also to practical, religious, military and other understanding. The theorists who contributed to this school viewed employees as individuals, resources, and assets to be developed and worked with — not as machines, as in the past. Several individuals and experiments contributed to this theory. Elton Mayo was born in Australia. He was educated in Logic and Philosophy at St. Peter's College, Adelaide. He led a team of researchers from Harvard University, which carried out investigation in human problems. Elton Mayo’s contributions came as part of the Hawthorne studies, a series of experiments that rigorously applied classical management theory only to reveal its shortcomings. The Hawthorne experiments consisted of two studies conducted at the Hawthorne Works of the Western Electric Company in Chicago from 1924 to 1932. The first study was conducted by a group of engineers seeking to determine the relationship of lighting levels to worker productivity. Surprisingly enough, they discovered that worker productivity increased as the lighting levels decreased — that is, until the employees were unable to see what they were doing, after which performance naturally declined. A few years later, a second group of experiments began. Harvard researchers Mayo and F. J. Roethlisberger supervised a group of five women in a bank wiring room. They gave the women special privileges, such as the right to leave their workstations without permission, take rest periods, enjoy free lunches, and have variations in pay levels and workdays. This experiment also resulted in significantly increased rates of productivity. In this case, Mayo and Roethlisberger concluded that the increase in productivity resulted from the supervisory arrangement rather than the changes in lighting or other associated worker benefits. Because the experimenters became the primary supervisors of the employees, the intense interest they displayed for the workers was the basis for the increased motivation and resulting productivity. Essentially, the experimenters became a part of the study and influenced its outcome. This is the origin of the term Hawthorne effect, which describes the special attention researchers give to a study’s subjects and the impact that attention has on the study’s findings. The general conclusion from the Hawthorne studies was that human relations and the social needs of workers are crucial aspects of business management. This principle of human motivation helped revolutionize theories and practices of management. He disliked that many European organizations were managed on a “personal” family-like basis and that employees were loyal to individual supervisors rather than to the organization. He believed that organizations should be managed impersonally and that a formal organizational structure, where specific rules were followed, was important. In other words, he didn’t think that authority should be based on a person’s personality. He thought authority should be something that was part of a person’s job and passed from individual to individual as one person left and another took over. This no personal, objective form of organization was called a bureaucracy. Weber believed that all bureaucracies have the following characteristics: A well-defined hierarchy. All positions within a bureaucracy are structured in a way that permits the higher positions to supervise and control the lower positions. This clear chain of command facilitates control and order throughout the organization. Division of labor and specialization. All responsibilities in an organization are specialized so that each employee has the necessary expertise to do a particular task. Rules and regulations. Standard operating procedures govern all organizational activities to provide certainty and facilitate coordination. Impersonal relationships between managers and employees. Managers should maintain an impersonal relationship with employees so that favoritism and personal prejudice do not influence decisions. Competence. Competence, not “who you know,” should be the basis for all decisions made in hiring, job assignments, and promotions in order to foster ability and merit as the primary characteristics of a bureaucratic organization. Records. A bureaucracy needs to maintain complete files regarding all its activities. 1. Every system is goal-oriented and it must have a purpose or objective to be attained. 2. In designing the system we must establish the necessary arrangement of components. 3. Inputs of information, material and energy are allocated for processing as per plan so that the outputs can achieve the objective of the system. of the other employees. The employees feel that they are mentally and physically able to carry out the order. Barnard’s sympathy for and understanding of employee needs positioned him as a bridge to the behavioral school of management, the next school of thought to emerge. the term “knowledge worker" and later in his life considered knowledge work productivity to be the next frontier of management.Basic ideas: Decentralization and simplification: Drucker discounted the command and control model and asserted that companies work best when they are decentralized. According to Drucker, corporations tend to produce too many products, hire employees they don't need (when a better solution would be outsourcing), and expand into economic sectors that they should avoid. Respect of the worker: Drucker believed that employees are assets and not liabilities. He taught that knowledge workers are the essential ingredients of the modern economy. Central to this philosophy is the view that people are an organization's most valuable resource and that a manager's job is to prepare and free people to perform. The need to manage business by balancing a variety of needs and goals, rather than subordinating an institution to a single value. This concept of management by objectives forms the keynote of his 1954 landmark "The Practice of Management". A company's primary responsibility is to serve its customers. Profit is not the primary goal, but rather an essential condition for the company's continued existence. An Organization should have a proper way of executing all its business processes. A belief in the notion that great companies could stand among humankind's noblest inventions. beginning to win widespread recognition in the U.S. at the time of his death. Deming offered fourteen key principles for management for transforming business effectiveness. The points were first presented in his book Out of the Crisis. long-term relationship of loyalty and trust. 11. (a) Eliminate work standards (quotas) on the factory floor. Substitute leadership. (b) Eliminate management by objective. Eliminate management by numbers, numerical goals. Substitute workmanship. 12. (a) Remove barriers that rob the hourly worker of his right to pride of workmanship. The responsibility of supervisors must be changed from sheer numbers to quality. (b) Remove barriers that rob people in management and in engineering of their right to pride of workmanship. This means, inter alia, abolishment of the annual or merit rating and of management by objective. 14. Put everyone in the company to work to accomplish the transformation. The transformation is everyone's work. "Massive training is required to instill the courage to break with tradition. Every activity and every job is a part of the process." “In Search of Excellence” is an international bestselling book written by Tom Peters and Robert H. Waterman, Jr. First published in 1982 it is one of the biggest selling and most widely read business books ever, selling 3 million copies in its first four years, and being the most widely held library book in the United States from 1989 to 2006 (WorldCat data). The book explores the art and science of management used by leading 1980s companies with records of long-term profitability and continuing innovation. Peters and Waterman found eight common themes which they argued were responsible for the success of the chosen corporations. The book devotes one chapter to each theme. 1.. A bias for action, active decision making - 'getting on with it'. 4. Productivity through people- treating rank and file employees as a source of quality. There are many definitions of planning. Planning may define as: According to Fayol - "The plan of action is, at one and the same time, the result envisaged, the line of action to be followed, the stages to go through, and the methods to use. It is a kind of future picture wherein proximate events are outlined with some distinctness...."
action. According to Louis A Allen - "Management planning involves the development of forecasts, objectives, policies, programmes, procedures, schedules and budgets". achieve a consistent, co-ordinated structure of operations aimed at the desired results". According to Koontz O’Donnell - "Planning is an intellectual process, the conscious determination of courses of action, the basing of decisions on purpose, acts and considered estimates". Planning is the pre-selection of objectives and outlines the action before starting any business. Planning is selection of mission, objectives and true strategies, polices programs and procedure to achieve them. Planning is decision making in advance. Choosing the alternatives and making the decision is called planning. The essential nature of planning can be defined by dividing it into four Major aspects. which try to accomplishment of group purpose through deliberate cooperation. organization level is their ability to plan. Many managers have followed plans whose costs were greater than the revenue that could be obtained. For example, one airline acquired certain aircraft with costs exceeding revenues. Companies have also tried to sell products that were unacceptable to the market. Plan can even make it impossible to achieve objects if they make enough people in an organization this satisfied or unhappy. This mission identifies the basic functions or tasks of an enterprise. However, an objective is the end toward which an activity is aimed. Objectives in other words. Are ends toward which organizational and individual activities or directed. Objectives are the end point toward which all managerial functions, (Planning, Organizing, Leading, Staffing, and Controlling) are aimed. Objectives form a hierarchy ranging from individual objectives to broad aims. Strategies and policies are the basis of operational plans and framework for plans. Both gives direction and are closely related. The word strategy is derived from a Greek word “STRATEGOS” meaning General. Strategies is the determination of the basic long term objectives of an enterprise and the adoption of courses of action and allocation of resources necessary to achieve these goals policies are general statements or understandings that guide manager’s thinking and decision making. Procedures are plans that establish a required method of handling future activities. Briefly, procedures guide actions. Rules are those required actions or non-actions allowing no discretion. Rules are simply called simple plans. course of action and normally supported by capital and operating budgets. A budget is a numerized program. It is a statement of plans and expected results expressed in numerical terms or forms. The budget of an enterprise represents the sum total of income and expenses with profit or surplus. There are eight applicable steps in planning which should be followed by managers in connection with major programs and in any other through planning. wish to solve and why, and know what they expect to gain. Setting realistic objectives depends on this awareness. indicate the end points of (i) What is to be done (ii) Where the primary emphasis is to be placed (iii) What is to be accomplished by the network of strategies, policies, procedures, rules, budgets and programs. meeting goals at the lowest cost and highest profit in a given period. has to decide one best alternative or several alternative courses of action. and train workers and develop a new product. After decision making and formulating plans the final step in planning is to numberise decision and plan by converting them into budgets. The overall budgets of an enterprise represent the sum total of income and expenses with resulting profit. Budgets are important thing in planning process. Being aware of opportunity in the light of the market competition what costumer want our strength our weakness. Considering planning premises in what environment external or internal will our plan operates. Identifying alternatives what are the most promising alternatives to accomplishing to our objectives. the lowest at highest profit. as; volume and price of sales. accomplishing objectives. The process can be shown by figure. 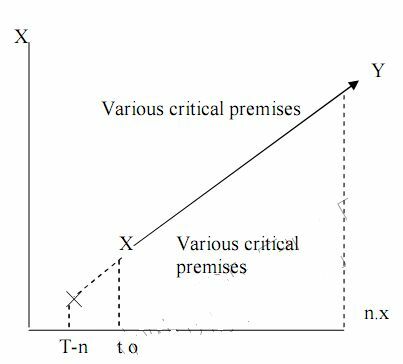 In this diagram, progress (toward more sales, higher profits, lower costs, and so forth) is on the vertical axis, and time is on the horizontal axis. Here x indicates where we are (at to or time zero) and y where we want to be at future time (at tn). In short, we are at ax and want to go to y. often we do not have all the data, but we start planning anywhere. We may even have to start our planning study at x (at t-n). the line x y is the decision path. If the future work completely certain, the line x y would be relatively easy to draw. Because we cannot forecast or consider everything, we try to develop our path x to y in light of the most critical premises. The essential logic of planning applies regardless of time interval between TO and TN, weather it is five minutes or twenty years. If the time span is long, premises may be unclear, goals may be more difficult to achieve and other planning complexities may be great. still define MBO in a very narrow, limited way. There are four benefits of MBO. All the objectives of management by objective can be summarized by saying that it results in greatly improved Management. objective can not be establish without planning.MBO force Managers to think about planning for results.MBO also requires that Managers think about the way from which they will accomplish results. They will think about need of assistance to achieve the objectives. 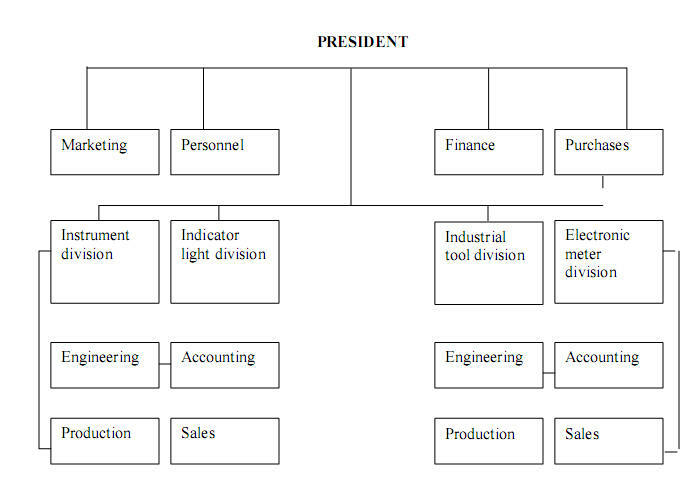 MBO classify the organizational roles and structure. It force managers to delegate authority according to the results they expect. area of discretion, there authority, the part in setting their objectives. With all its advantages, MBO has a number of weaknesses. There are several weakness of MBO. explain about MBO that it is? How it works? Why it is being done? What part in performance appraisal? How participants can benefits? One of the weaknesses of MBO is that it fails to give guide line for goal setting to managers. Managers need planning premises and knowledge of major company polices. People must have some assumptions about future. They should have some understanding about objectives affecting their areas of operations. They should know about objectives and programes.MBO fails to give guideline to Managers. Truly verifiable are difficult to set. MBO difficult and verifiable goals. In most MBO programs, managers set goals for the short term for yearly or quarterly. Emphasis on short term goals lead to danger more expensiveness as of the longer range. In MBO program managers often hesitate to change objectives. Change in objective can affect results. So in MBO managers often hesitate to know flexibility. There are some other dangers and difficulties in MBO. 1- There may be a danger of overuse of quantitative goals or low gradation of important goals. 2- Difficulty in applying goal oriented planning. 3- Difficulty of converting broad objective into subordinate objectives. 4- Difficulty in measuring performance. 5- Difficulty in providing feedback. 6- Difficulty in setting long-range objectives and planning. be done. Decision making is the part of planning and everyone’s daily living. It is the rational decision making that goals cannot be attain without action. People acting or deciding rationally are attempting to reach some goal that cannot be attained without action. They must have a clear understanding of alternatives. Thy must have ability and information to analyze and evaluate alternatives in order to achieve goals. Finally they must have desire to come the best solution by selecting alternative. There are three steps in decision making. 1- THE SEARCH FOR ALTERNATIVES. clearly we have not thought hard enough. The ability to develop alternatives is often as important as being able to select correctly from among them. One of the other hand ingenuity research and common sense will often unearth so many choices that all of them cannot be evaluated. The manager needs help in this situation, and this help can be solved by decision making. When an appropriate alternative has been found, the next steps in planning one best alternative to achieve the goals. There are three ways of evaluated decision making. Quantitative factor can be measured in numerical terms. This factor is vary important but the success of the venture would be endangered qualitative factors were ignored. Qualitative factor are those that are difficult to measure numerically such as the quality of labor relations, the risk of technological change etc. In evaluating alternatives managerial analysis is very important. Marginal analysis can be used in comparing factors other then costs and revenue. For example to find the best output of a machine, inputs could be varied against outputs until the additional input equals the additional output. (1) Experience (2) Experimentations (3) research and analysis. Reliance on past experience plays a larger part in decision making to some extent, experience is the best teacher. The very fact that managers have reached there position appears to justify their past decisions. Moreover, the process of thinking problems through making decisions and seeing programs succeed or fail. most expensive, especially if a program requires heavy expenditures firm cannot afford to attempt several alternatives. Organization involves division of work among people whose efforts must be coordinate To achieve specific objectives and to implement pre-determined strategies.Organization is the foundation upon which the whole structure of management is built? It is the backbone of management. After the objectives of an enterprise are determined and the plan is Prepared, the next step in the management process is to organize the activities of the Enterprise to execute the plan and to attain the objectives of the enterprise. The term Organization is given a variety of interpretations. In any case, there are two broad ways in which the term is used. In the first sense, organization is understood as a dynamic process and a managerial activity which is necessary for bringing people together and tying them together in the pursuit of common objectives. When used in the other sense, Organization refers to the structure of relationships among positions and jobs which is Built up for the realizations of common objectives. Without organizing managers cannot function as managers. Organization is concerned with the building, developing and maintaining of a structure of working relationships in order to accomplish the objectives of the enterprise. Organization means the determination and assignment of duties to People, and also the establishment and the maintenance of authority relationships among these grouped activities. "Organization is the process of so combining the work which individuals or groups have to perform with facilities necessary for its execution, that the duties so performed provide the best channels for efficient, systematic, positive and coordinated application of available effort." In the words of Chester I Bernard, "Organization is a system of co-operative activities of two or more persons." Organisation as, "an identifiable group of people contributing their efforts towards the attainment of goals". "Organisation is the process of identifying and grouping the work to be performed, defining and delegating responsibility and authority, and establishing Relationships for the purpose of enabling people to work most effectively together in accomplishing objectives. Organisation is the adjustment of diverse elements, so that their mutual relationship may exhibit more pre-determined quality. Organizing is the process of defining and grouping the activities of the enterprise and establishing the authority relationships among them. In performing the organizing function, the manager defines, departmentalizes and assigns activities so that they can be most effectively executed. (1) Span of control refers to the number of immediate subordinate who report a manager. (2) Different level of organization level is also called span of control. There are several factors which influence the span of management. The better training of subordinates increases the necessary superior subordinate’s relationship. Well trained subordinates require less time of their managers also they have less contact with their managers. Training programs increase in new and more complex industries. authority to task with a minimum of the managers time and attention. But if a manager delegate’s authority unclearly than subordinate give his maximum. time will be required on the other hand if plan cannot be drawn accurately and subordinates do much of their own planning, they may require considerable guidance. A manager must find out, either by personal observation or through the use of objective standards, whether subordinates are following plans. Obviously, good objective standards enable managers to avoid many time consuming contact. Certain enter rises change much more rapidly than others. The rate of change is very important in formulating and maintaining policies. It may explain the organization structure of company’s railroad, banking and public utility companies. managers time will be heavily burdened. An ability to communicate plans and instructions clearly and concisely also tends to increase a managers span. Many instances, face to face meetings are necessary. Many situations cannot be completely policy statements planning documents or other communications that do not involves personal contact. An executive may and valuable information’s by meeting to subordinates and by discuss problems with them. Some problems can be handled only in face to face meeting so the best way of communicating problems, instructor, and subordinates is to spend time in personal contact. specialties were supervised, effective spans were narrower at lower and middle levels of organization but were increased at upper levels. A manager who is competent and well trained can effectively supervise more people than who is not. The more mature subordinates may delegate more authority, thus widening the span. 4-fast changes in external and internal environment. 7-Number of specialist at upper levels. and customers needs. Also it can help to make major performance breakthroughs throughout business process reengineering (BPR).A functional rethinking and radical redesign of business process to achieve dramatic improvements in costs, quality, service, and speed.BPR use workflow analysis to identify jobs that can be eliminated or recombined to improve company. Dpartmentation by number is telling off persons who are to perform the same duties and putting them under the superior of a manager the essential fact is not what these people do, where they work? Or what they work with, it is that the success of the understanding depends only on the number of persons include in it. This method is rapidly applying in army. There are many reason of decline of departmentation by numbers. 1-It has declined due to advance technology and demand of specialized and different skills. 2-A second reason is groups composed of specialized personnel are more efficient then those based on number. 3-Departmentation by number is useful only at the lowest level of the organization. It is grouping activities on the basis of time. It is oldest form of departmentation and it is generally used in low level of departmentation. It is particularly applied in hospitals and steel manufacturing enterprise where continue process of service and manufacturing is used. 1- It is process of working and services throughout 24 hours. 2- It is continuing service process. 3- Expensive machinery is used in shifts. 4- Students can work evening or at night. 1- There is lacking supervision at night. It is grouping activities on the basis on function of an enterprise. The basic enterprise functions are production, selling, and financing functional departmentation is bases for organizing activities and in organizational structure. It organizes by function to be performed. The function reflects the nature of the business. The advantage of this type of grouping is obtaining efficiencies from consoliding similar specialties and people with common skills, knowledge and orientations together in common units. 1- It is logical reflection of function. 2- Maintains power of major functions. 1- De-emphasis of overall company objectives. 2- Reduces coordination between function. 3- Slow adoption to change in environment. 1- It emphasis on local markets and problems. 2- Improves coordination in a region. 3- Better face to face communication. 1- Increases problem of top management control. 2- Requires more persons with general manager abilities. Departmentalization by customer groups jobs on the basis of a common set of needs or problems of specific customers. For instance, a plumbing firm may group its work according to whether it is serving private sector, public sector, government, or notfor-profit organizations. A current departmentalization trend is to structure work according to customer, using cross-functional teams. This group is chosen from different functions to work together across various departments to interdependently create new products or services. For example, a cross-functional team consisting of managers from accounting, finance and marketing is created to prepare a technology plan. 1- Departmentation by customer emphasis on customer needs. 2- It develops experience in customer area. 1- It may be difficult to analysis customer demands. 2- It requires managers and staff expert in customer problems. 3- Customer groups may not always be clearly defined. This type of departmentation is found in production and operative levels. Such type of departmentation can be found in paint or electroplating process. Departmentalization by process groups jobs on the basis of product or customer flow. Each process requires particular skills and offers a basis for homogeneous categorizing of work activities. A patient preparing for an operation would first engage in preliminary diagnostic tests, and then go through the admitting process, undergo a procedure in surgery, receiver post operative care, be discharged and perhaps receive out-patient attention. These services are each administered by different departments. 1- Coordination of departments is difficult. 2- Responsibility for profit is at the top. accessories, appliances woman’s clothing, men’s clothing and children clothing. 1- Places attention on production. 2- Increase growth of product. 3- Places responsibility for profit at division level. 1- Requires more persons with general manager abilities. 2- Presents problems of top management control. Formal organization means the intentional structure of rods informally organized enterprise. Formal organization must be flexible. Formal organization does not mean that there is anything inflexible. If a manager is to organize well, the structure must furnish an environment in which individual performance, both present and future contributes most effectively to group goals. Informal organizational is define by different authors one says, Informal organization is any joint personal activity without conscious joint purpose, even though contributing to joint results. Thus informal relation ships established in the group of people playing chess during lunch time may aid in the achievement of organization goals. It is much easier to ask for help on an organization problem from someone you know personally, even if he or she may be in different departments than from some one you know only as a name on an organization chart. Another author describes informal organization as a network of personal and social relationships not required by the formal organization but arising spontaneously as people but associate with one another. Power is much broader concept than authority power is the ability of individuals or groups to informal the actions of other persons or groups. Authority is the legal right to command actions by others and to enforce compliance. Authority may also be defined as the degree of discretion in organizational position conferring on persons occupying these positions the right to use their judgment in decision making. individuals or groups to influence the action of other persons. There are five bases / sources or kind of power. The official position of a person is an organization is known as legitimate power . for example, a major in army has power over Captain and subordinate. related to reward power and normally arising from legitimate. Power arises from ability of some people to grant reward reward is known as reward power. University Professors have considerable reward. power they made high grade. Power may also come from the expertness of a person or a group. This power of knowledge. Physician lowers, &university professors may have considerable influence for their special knowledge. This is the power of admiring high esteemed leader by individuals. This power arises from the power of positions. When people speak pf authority in managerial setting, they are usually referring to the decision making power. line of authority. It is directly from superior to his subordinate. is that relationship in which superior exercises direct supervision over a subordinate. person in staff capacity is to investigate research and give advice to line manager. 1. Danger of understanding line authority. 2. Lake of staff responsibility. The process of delegation involves. 1. Determining the results expected from a position. 2. Assigning tasks to the positions. 3. Delegating authority to accomplishment of the tasks. 5. Authority is delegate from higher level to lower level. department may receive authority formally held by other Managers. them. There are many reasons for poor delegation. so Managers should fallow these steps. takes their time and attention away from more important decisions. repeated mistakes can be largely avoided without multifying delegation. basic standard for judging the activities of subordinates. The following guide can overcome weak delegation. 2- Select the person in light of the job to be done. 3- Maintain open lines of communication. 5- Reward effective delegation and successful assumption of authority. This process is done by ten concepts. 1. Identifying the work force requirements. 2. Inventorying the people available. 8. Planning careers of candidates. 10. Developing and compensating candidates and current jobholders. different definition of managerial job by different writers. another group of writers emphasizes decisions that cannot be easily programmed. staffing are appraisal, career strategy and training and development of managers. objectives and accomplish personal goals. 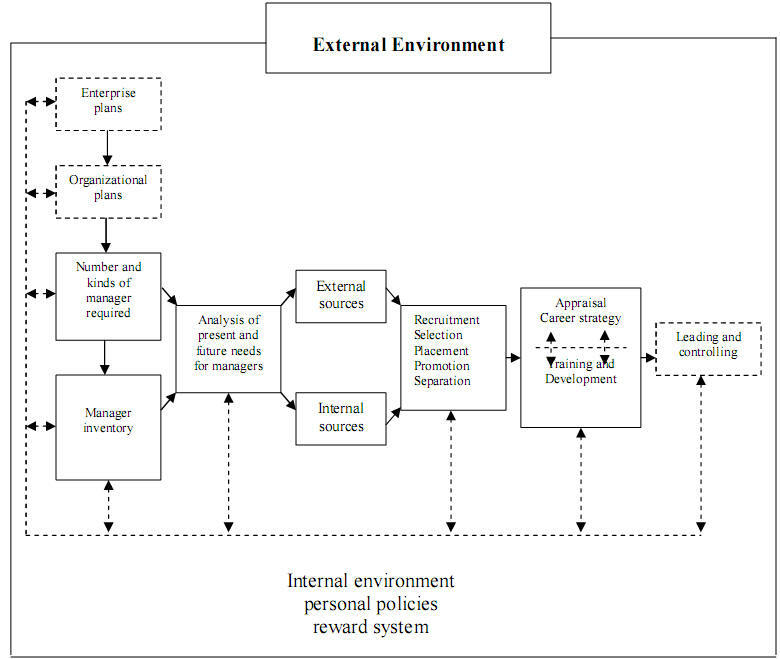 the enterprise which is linked to the internal environment. enable it to carry on its operations. 3. ANALYSIS THE NEED FOR MANAGERS. Analysis of the need for managers depends upon internal resources. 2. Replacement or out replacement staff. After the need for managerial personnel a number of candidates may have to be. positions are filled by the qualified personnel, who are able to willing to occupy them. job, identifying job requirement, job, design etc. economic opportunities. External factors include. Internal factors of staffing are required to be taking consideration. position or for future positions. and future job requirements. These criteria include. 1. Education, knowledge, skills and experience. 2. The candidate is requested to complete the application form. 3. A screening interview is conducted. 4. Candidates are tested for additional information. 5. Formal interviews conducted on the basis of test. 6. Information provided by candidates are checked and verified. 7. Physical fitness is examined. 1. What were your specific duties and responsibilities in your last job? 2. What did you achieve in that job? 3. Who could be asked to verify these achievements? 5. What did you like or dislike about your job? 6. Why do you want to change your job? can be classified as follows. thought and ability to see relationship in complex problem situations. It constructed to discover interest, existing skills and potential for acquiring skills. Vocational test are designed to show a candidates most suitable occupation. There are many limitation of the selection process. 1. There is no one perfect way to select managers. 3. Testing process and especially psychological testing is limited. materials, time spent interviewing candidate, costs for reference check etc. very expensive to an enterprise. There are six steps/process or principles of staffing. 3. Principle of open competition. 4. Principle of management training & development. 5. Principle of training objectives. 6. Principle of continuing development. their positions can be defined. candidate can be brought in the organization. measurement of the effectiveness of training efforts.